An exquisite display of 15th century style Italian armor, the Milanese Full Suit of Armor is an extraordinary replication of a suit crafted by the famous Italian armorers the Corio family, which was crafted around 1440. The original suit is on display in the Glasgow Museums in Scotland. This is a wearable replica set and features the classic Milanese style of smooth steel plates. A Venetian style sallet tops this suit with its T-shaped opening on the face, helping to date this exceptional armor. 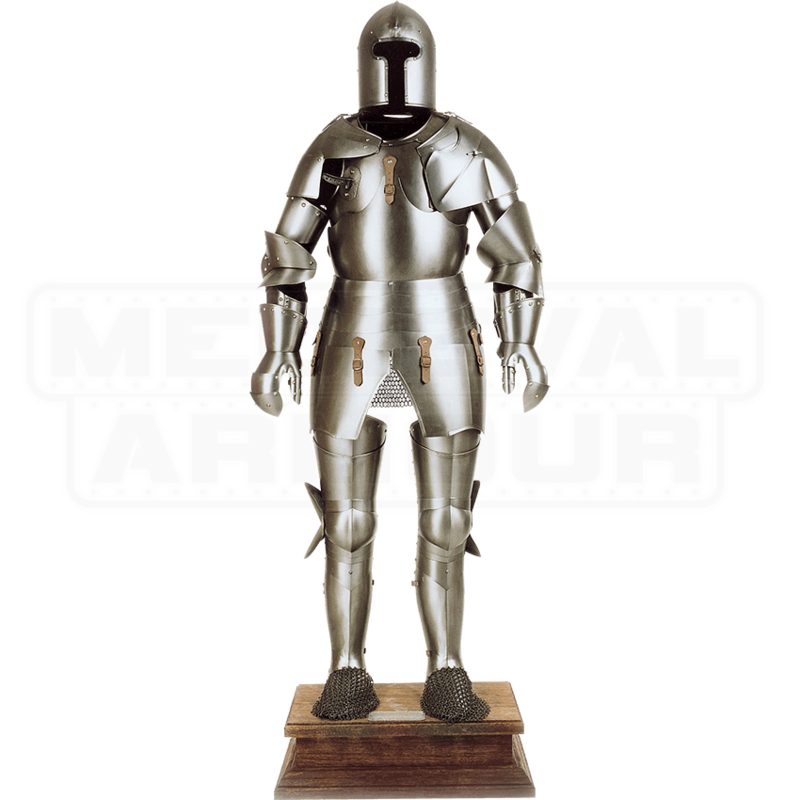 Like the original, this set of armor is handcrafted in Italy from high quality steel. A rectangular wooden pedestal is included with this suit, acting as a perfect platform on which to display this elegant historical recreation. 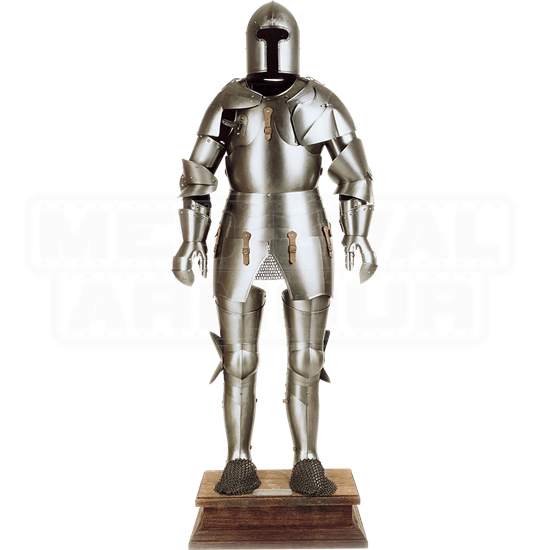 The Milanese Full Suit of Armor is an unbelievable home or office decoration which will radiate your passion for the medieval era and European history.